The Audacity of Psy – Gangnam Style! So, I tend to have a high level of appreciation for silliness and obnoxiousness. Whether we’re talking Monty Python and their Ministry of Silly Walks or my favorite band in college – Johnny Socko and their lead singer singing while hanging from the rafters of the Bluebird Nightclub while dressed in a giant banana suit, or Stephen Colbert in all of his ridiculously clever ignorance. It’s natural then that probably my favorite Kpop singer for pure entertainment value is Psy, who has suddenly burst onto the international scene, showing up on major US news like CNN and the Huffington Post with his new song, Gangnam Style. When Sunnie first introduced me to Kpop, I commented how it was odd to me how composed the Korean audience was at Kpop concerts; they were often seated and politely clapping along. Time and time again I would see Kpop performances and the crowd was so tame. Then I noticed Psy and how his pure energy on stage demanded that people get moving. Now, the Kpop scene has changed, and you’re much more likely now to see a crowd getting into a performance, but more often then not it’s still chanting out fan club chants or synchronized glow stick waving, but with Psy, he demands more. He’s a bouncing ball of ridiculous energy, an obnoxious clown who makes a spectacle of himself, but forces you to get moving as he does so. Check out the energy in the crowd at this performance in Hongdae! Psy first became big with his hit Champion, which he released shortly after the euphoria of Korea’s performance in the 2002 World Cup hosted in Seoul. Psy was controversial from the start with his crazy and obnoxious performances and lyrics (and all of this from some who went to Berkley’s School of Music!) as his first two albums were banned from being sold to those under 18 for being a bad influence, and he was also arrested for marijuana. However, Champion, with its Axel-F hook, catapulted him into the spotlight. It set the stage for his success highlighting his catchy songs and clever lyrics. Psy also continued to establish himself as a rebel off the stage as well as he was given preferential military service. Korean men are required to serve in the military for several years, and Psy was allowed to have a more free service rather than the typical restrictive and physically taxing service most are required to do. After nearly completing this service, in 2007 it was found that he had actually not done much of anything, and he had to return to the military complete a full, typical service. After returning from the military, perhaps very slightly humbled, and facing the potential end to his career after several years out of the spotlight and harsh public view for trying to dodge his responsibilities, Psy renewed his career with his brash performance style. He’s performed as the awesome Lee Hyori, danced as Beyonce, and generally been hilarious. The video for his song, It’s Art nicely captures his sweaty and ridiculous performance style and how his unflappable energy forces you to be entertained. Now, after two years since his last album, Psy is back! And he’s back with probably his best music video ever. Gangnam Style has taken the world by storm with it’s can’t-look-away-from-this-bizarre-spectacle hilarity. It’s Psy in all his audacious glory, playing the clown, dancing silly (something I highly respect and have a great fondness for- see the Snoopy Dance) and bringing non-stop energy. We also get some guest appearances from Yoo Jae Seok, Running Man’s host with the most, and Infinite Challenge’s No Hong-chul, among others. I don’t think Gangnam Style is his best song ever, but for a video, it’s fantastic. You find yourself watching it over and over again, and I’m not the only one. T-pain and Josh Groban among others have chimed in on Twitter. He’s generated enough buzz that he’s even shown up on CNN and the Huffington Post. It’s great to have Psy back and bringing his unique silly audacity to the slick Kpop world! Hope you can embrace his rampant craziness and check the videos out! ← Vegan Gamja-jun (Korean Potato Pancakes) Recipe! I agree, Psy is awesome. I also agree that Gangnam Style is not his best song and certainly not better than Right Now, one of my all-time favorites, but his videos are fun, funny, and addictive! I’m with you; Right Now is probably my favorite of his songs! It’s been so long since I have commented! I love your reviews and this one was great. 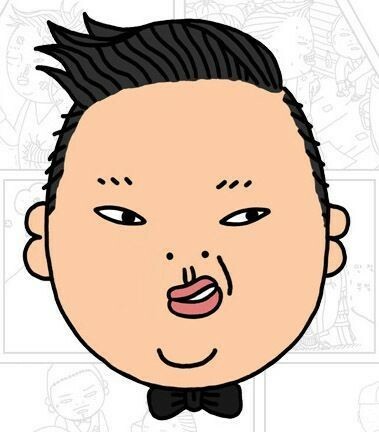 Yes, PSY is hilarious. It has been long! Nice to hear from you again. 🙂 It’s crazy how he’s blown up. They were using Gangnam Style as the intro music coming out of the commercial break of the football game I was watching this weekend. And it’s now the most liked video in Youtube history. Craziness! I think there should be a game made for spotting the Gangnam Style song, chuckle. korean audience are considered some of the most energic audiences in the world, ever since the 1990s. all the american bands who had concerts in south korea were amazed by how much energy had the korean audiences, from pop stars like michael jackson to heavy metal bands like metallica who talked in interviews about how amazing are the korean audiences compared to other countries they’ve been. “seated and politely clapping along” ?! i don’t know what kind of concerts you’ve been watching. but anyway the craze is even bigger since a few years ago, when koreans started to interact like crazy with their own korean singers/bands, and not just foreign bands. Hi, Rob. Yeah, I was talking about from several years ago with Korean bands. I think Korean audiences are much more interactive with Korean bands now than they used to be, but my point was the audiences always seemed to be into it when Psy performed, while I didn’t see that with the other Korean performers. And even though you see much more energy and interaction from the audience now than you used to, I still see more energy from the crowds at Psy’s performances. Thanks for reading! Psy is definitely awesome. He is so famous and well-liked nowadays. He befits his new fame too. I keep thinking how exhausted and exhilarated he must be right now. He keeps going back and forth from Korea to the US, to Australia, etc. He’s definitely a busy man right now! It’s still crazy to me that I turn on my radio in Indiana and hear Korean being sung on it – thanks to Psy!